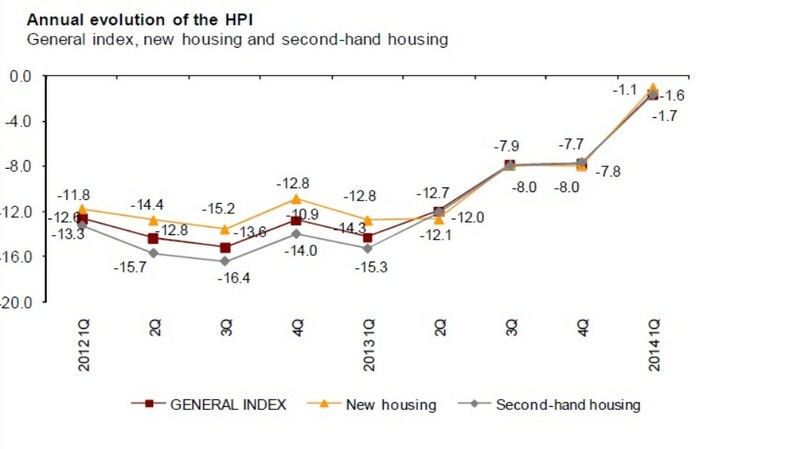 Housing prices continued to fall in the first quarter of 2014, but at the slowest rate since 2010, according to the latest data released by the national statistics bureau. 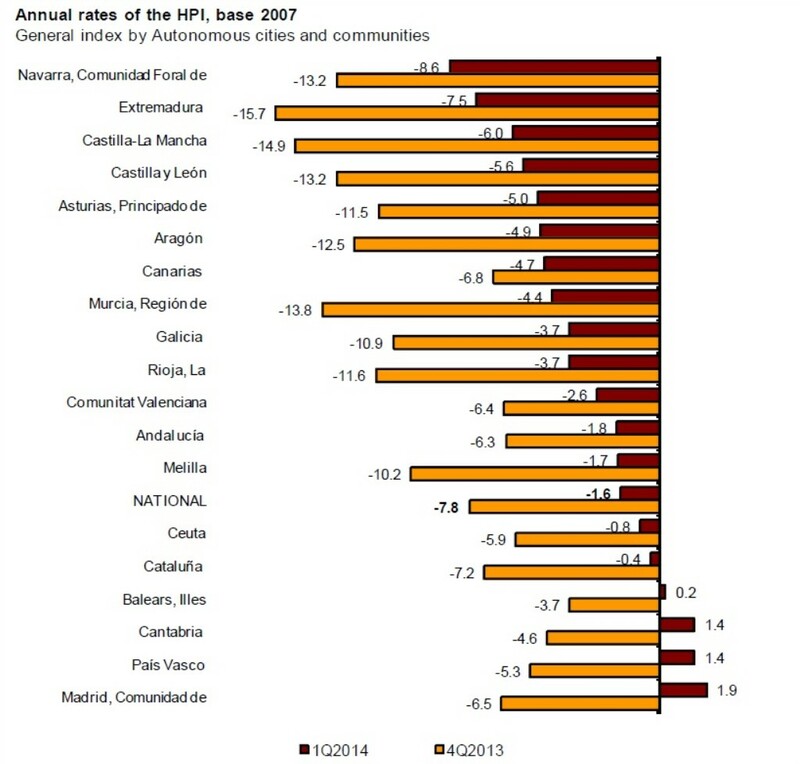 The Instituto Nacional de Estadística’s Housing Price Index reported a 1.6 per cent annual decline in prices for the quarter, compared to a 7.8 per cent annual decline in the fourth quarter of 2014. 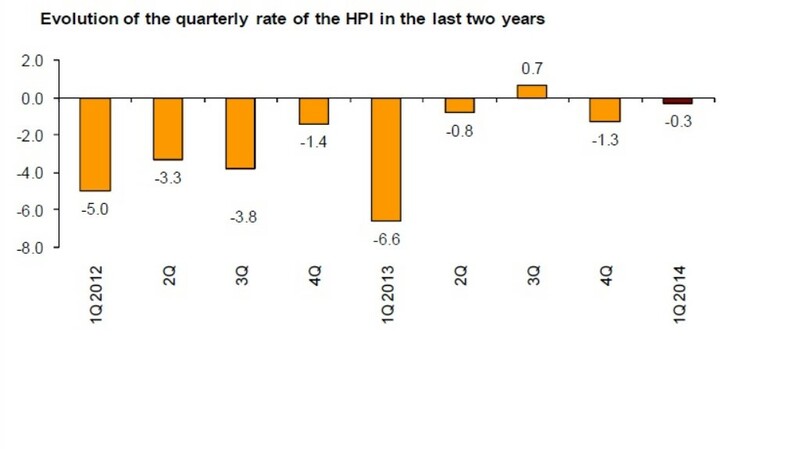 For the quarter, prices fell 0.3 per cent, compared to a 1.3 per cent drop in the fourth quarter. The annual drop in new housing prices was 1.1 per cent, with second-hand homes dropping in value 1.7 per cent – both significant improvements over the previous quarter. As always, the data shows significant differences in the performances of different sub-markets within Spain. 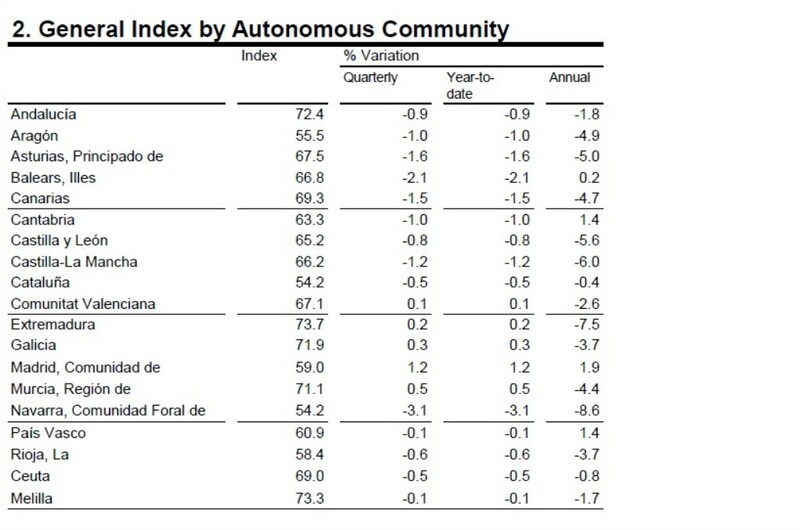 Four communities registered annual increases in prices, led by a 1.9 per cent uptick in Madrid, the first increase in the capital since 2010. Prices on the Balearic Islands, including Ibiza and Mallorca, recorded an increase for the first time since 2008. The biggest increase was in Murcia, one of the area’s hardest hit by the market collapse. While Spain’s housing data is notoriously inconsistent, the latest research shows a common thread. Last week data released by Spain’s Development Ministry showed a 0.5 per cent decrease in home prices in the first quarter, a 3.5 per cent drop from the first quarter a year ago. In was the 22nd consecutive quarterly drop recorded by the Development Ministry, however the Ministry data shows the price declines slowing, similar to the Statistics Institute Data. Data released last week by the notaries focused on “signs of stability,” with home sales picking up in the first quarter. The notaries reported a 1.6 per cent in prices in the first quarter compared to the previous quarter, although prices in March were still 4.8 per cent below prices in March of 2013.